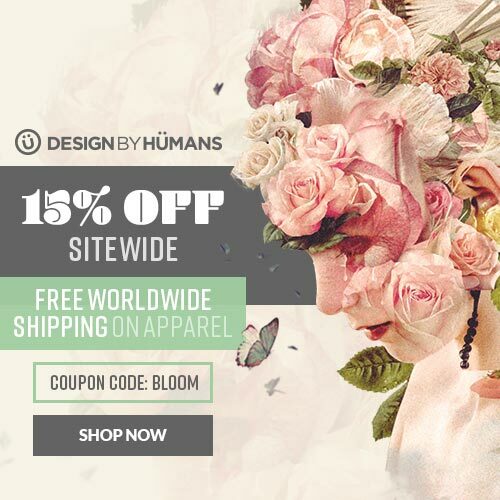 Design by Humans: 15% Off Sitewide &amp; Free Shipping on Apparel - Blog @ That Awesome Shirt! 15% off and free worldwide shipping on all apparel! Ends 20th of February, 2017.